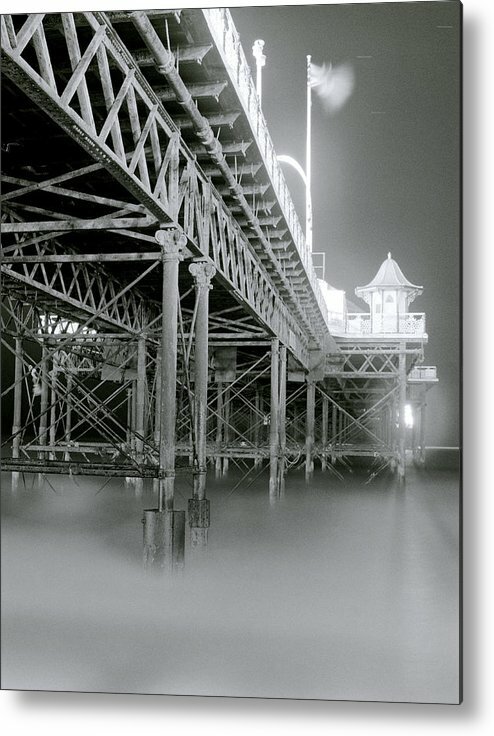 The Palace Pier by Shaun Higson - 6.125" x 8.000"
The Palace Pier metal print by Shaun Higson. Bring your artwork to life with the stylish lines and added depth of a metal print. Your image gets printed directly onto a sheet of 1/16" thick aluminum. The aluminum sheet is offset from the wall by a 3/4" thick wooden frame which is attached to the back. The high gloss of the aluminum sheet complements the rich colors of any image to produce stunning results. 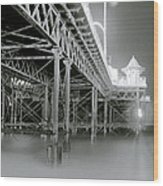 There are no comments for The Palace Pier. Click here to post the first comment. 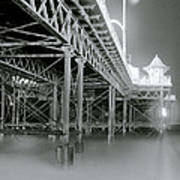 The Palace Pier at Brighton in England in the United Kingdom. An image of the Palace Pier taken at night many years ago in Brighton.If you like my work or find it interesting I would appreciate it very much if you would follow me here on Fine Art America.